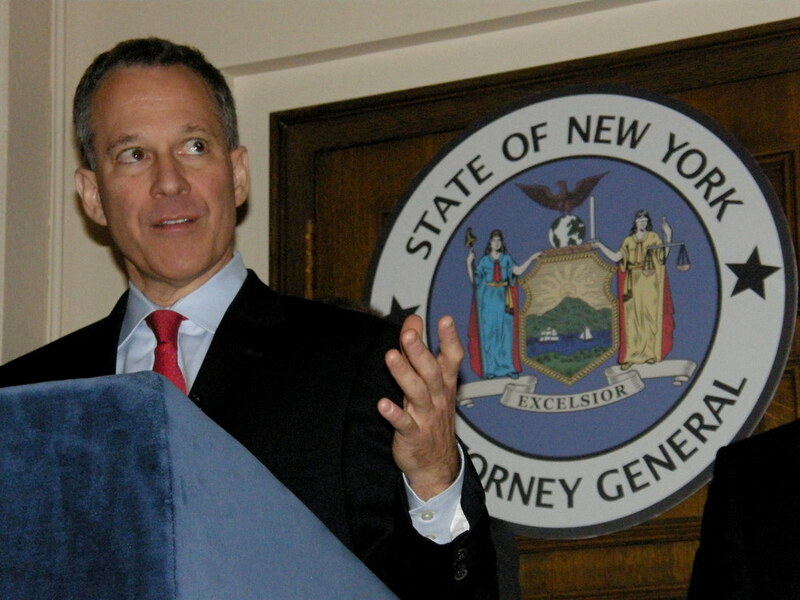 New York’s Attorney General is quietly looking at links between Trump and his organization to criminal activity – and if any charges are handed down, they will be at the state level. If you’re following U.S. politics, you’re probably familiar with special counsel Robert Mueller’s powerhouse FBI investigation into the Trump/Russia collusion scandal. It’s received all kinds of attention from mainstream media and has made Trump so uncomfortable he’s even hinted at the idea of firing Mueller after finding out the investigation includes looking at his financials — in an interview with The New York Times, he all but said he’d fire Mueller if the investigation delved into places Trump didn’t like. Mueller has assembled a masterful team of experts and, because he’s a consummate professional, his investigation is air-tight. The anxious public must patiently wait as the investigation continues — because it’s clear the spineless Republicans are being complicit. The president has pardoning powers; and if it’s proven Trump, or members of his team, broke federal law, he has the authority to let the guilty parties walk free. But there’s another investigation happening, and if Trump or his aides (including his three children, Ivanka, Don Jr. & Eric) are found guilty, he won’t be able to use his pardoning power — because that investigation is being conducted by New York Attorney General Eric Schneiderman who has previously taken Trump on and won. Here’s the good news: Presidents don’t have the authority to pardon anyone for state crimes. The President’s authority to grant clemency is limited to federal offenses. In March, Trump fired U.S. Attorney Preet Bharara who was reportedly investigating one member of Trump’s cabinet—and potentially the president himself. Master will be looking at Trump for illegal activities – he’ll explore taking action against Trump for violating the Constitution by accepting payments from foreign governments. All of the above information is public and on the record. Popular Twitter personality Claude Taylor (@TrueFactsStated) claims he has a source connected to the Schneiderman investigation, and he tweets what he hears from said source. Taylor’s tweets are unconfirmed but certainly within the realm of possibility. This LA Times article lists women who’ve sued Trump – and in some cases, for improper sexual behavior. From Schneiderman source on money laundering case. Targets include Don Jr, Eric, Ivanka, Jared & Trump Sr, Felix Sater & 15 Rus nationals. 2. new passports that say they are older than they actually were. They girls were forced to "entertain" powerful men. Including Trump. Note to the skeptics about Claude: I included his tweets because he’s the only person who’s sharing information of this nature. You can take it or leave it, but one thing is for sure, Schneiderman has been a critic of Trump for some time and, like Mueller, he doesn’t mess around. Stay tuned. Tick. Tick Tick.